Sardinia (Sardegna) has a different island. It’s different from all that I’ve been (the number is not small). On this island you can see fanciful geographical phenomenon: in the middle of the island are located alpine forests (the interior of Sardinia is ideal for hiking and skiing) and surrounded by snow-white beaches. Sardinia was recommended because of its diversity, and because of this simple description, we went there. This is an ideal destination for people who love the sun: one part of the island (Costa Smeralda) is a modern hangout for the rich and famous, is a paradise for surfers and a mecca for active tourists. 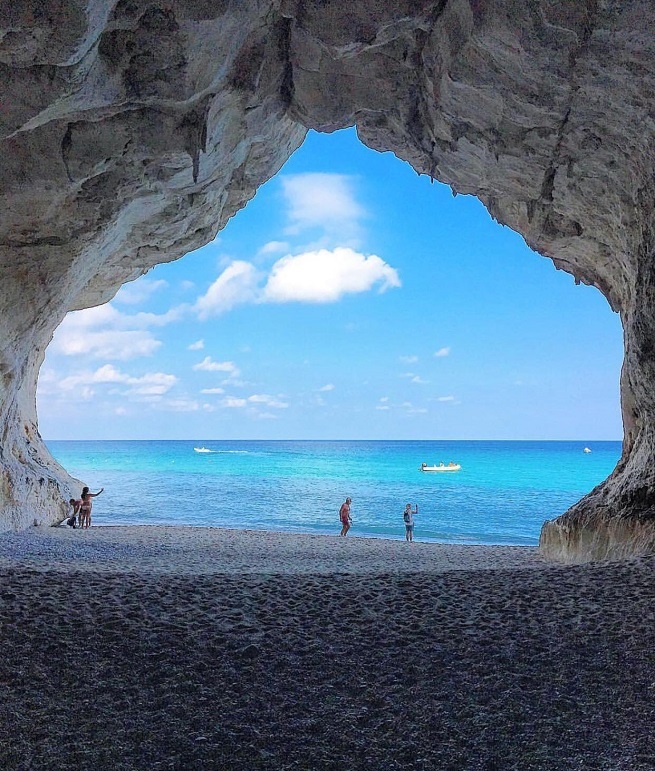 This is our story ..
Sardinia is a popular destination for travel, the second largest island in the Mediterranean and is located on the west coast of Italy. Historically, the island is very important. On it stand firmly buildings which confirm that the island has been inhabited for more than 8 000 years. The ruins known as nuraghe, defensive structures in Baruminiu, put Sardinia on the list of world cultural heritage. Around the island are historical monuments. The island has three airports (Cagliari, Alghero and Olbia). 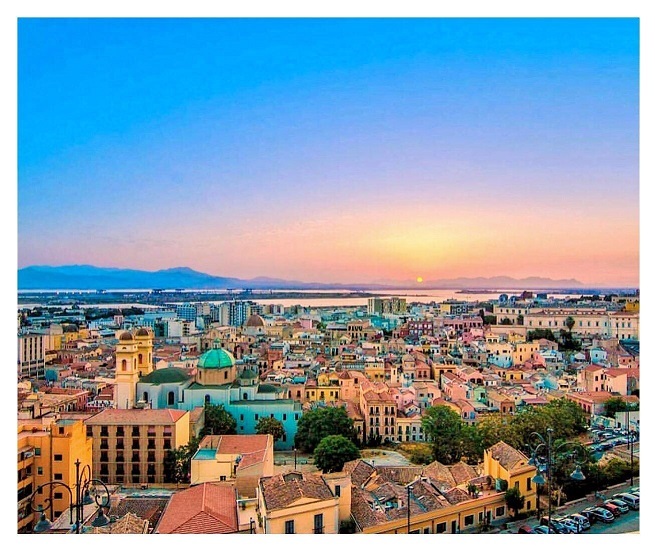 We land in Cagliari, the capital and largest city located in the southern part of the island. The whole area of the historical and cultural center, known as the region of Castelo and it’s really worth a visit. It is very well preserved. It includes buildings from the XII and XIII century. Cagliari, in addition to cultural attractions, has one of the longest beaches in Sardinia. 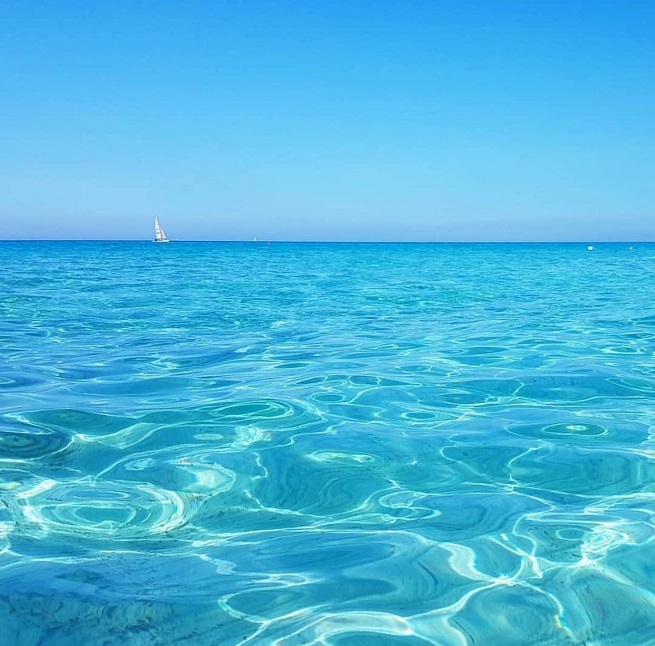 Poetto beach stretches for eight kilometers and is characterized by crystal clear water and white fine sand. 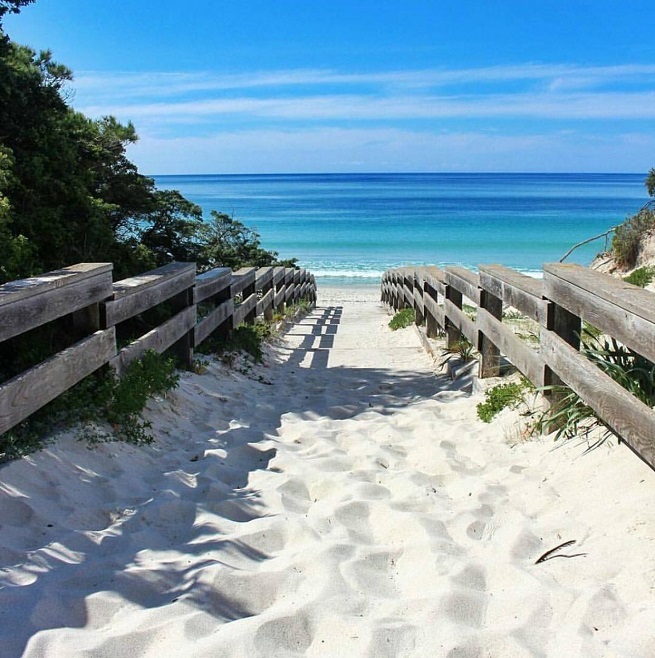 In its vicinity there are also some smaller beaches bay but this is for us definitely left the biggest impression. One evening we were in the center of the city went up to the lookout, in the old part of the city (Bastione San Remy), from which a magnificent view of the city and harbor. Sunset is one of the most beautiful that we have experienced. Simply, it has all that I need to enjoy myself: there is a large, spacious, has an old town, colorful and meaningful and has a lot more to discover and explore. I can safely say that for me this city left the biggest impression. 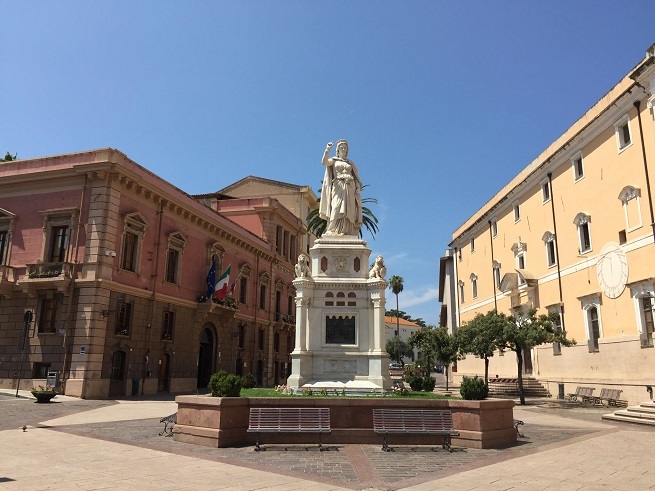 After a few days, the road leads us to Oristano which is located in the western part of the island and the train is awayone hour from Cagliari. 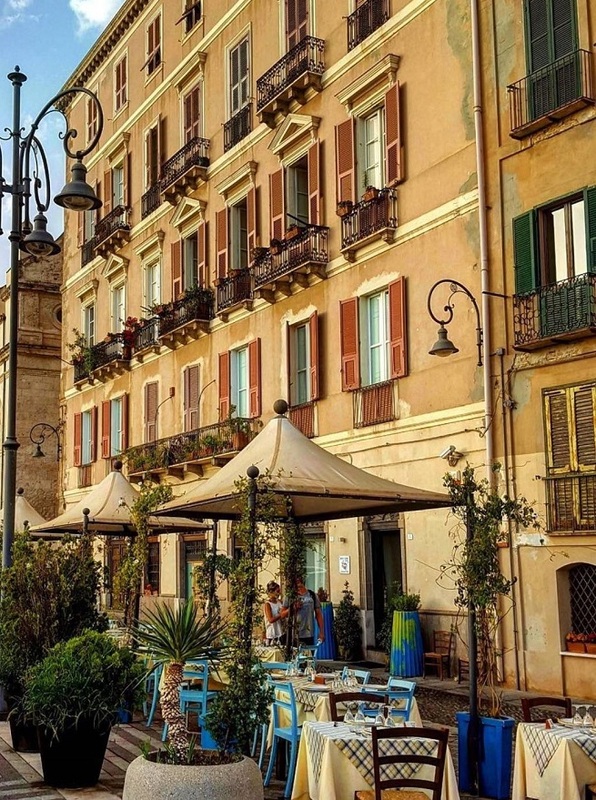 With its elegant shopping street, decorated with squares, popular bars and excellent restaurants, the center of Oristano is a wonderful place for walking and socializing. I would recommend to churches and interesting archaeological museums. 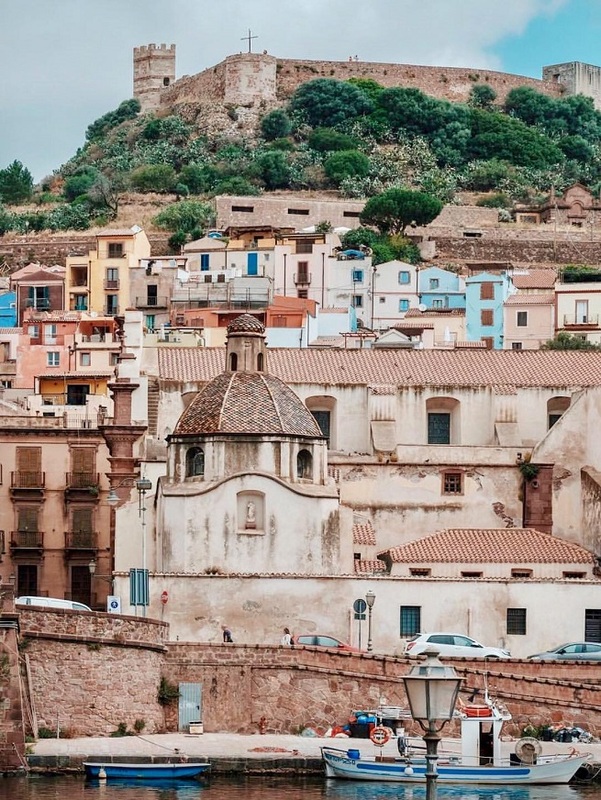 The city is as good as a base from where you can move the city buses to the nearby beach or to the village of Bosa, which has an ancient origin. It is characterized by typical colorful houses in pastel colors and narrow alleys of the old town, which give it a magical atmosphere. Bosa has the title of one of the most beautiful villages of Italy where time stands still. Train moving on the northeastern part of the island which called costa Smeralda. The train crosses the central part of the island and the aforementioned mountains. What surprised us was that the entire island green in August, although the average temperature this time of year above 30 degrees. Landscapes and plateaus that we find are stunning. Here is our base was the town of Olbia. 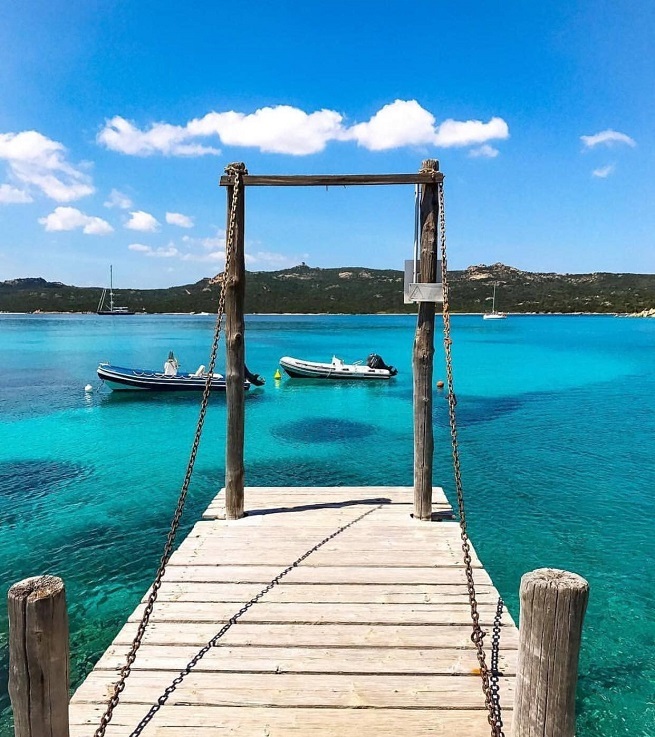 Close to the costa Smeralda, perfect beach surrounded by untouched nature (urban buses is easily accessible to every crawl), the Tyrrhenian Sea, which is poured out in all shades of blue and green. Cliffs, caves and rocky coves are what made you the delight of the island. Here the emphasis is on the beach and they are among the most visited places for a break when it comes to the Italians. In August, the peak season, the beaches are crowded, but since the whole coast settled, easily reached by some of the wild and where almost no one. If you like adrenaline sports, driving or kite boards are a great pastime, thanks to the wind that blows constantly. We continue our journey towards the second largest city on the island. 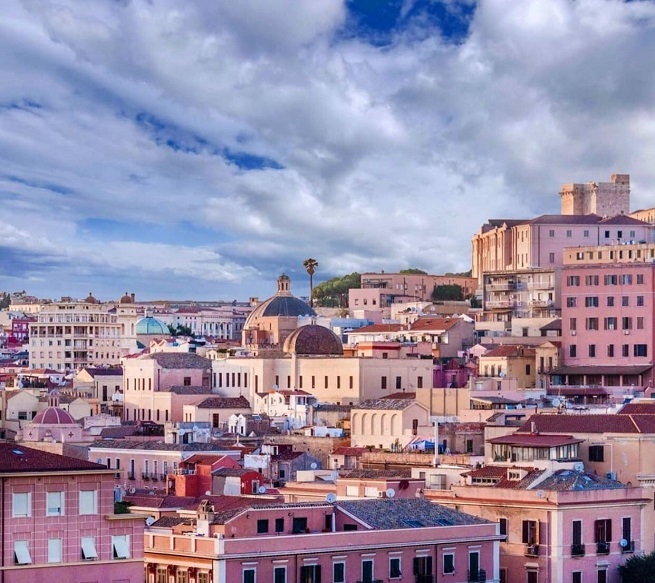 Sassari, a city rich in history and art is a university town in the north of Sardinia. From there we will continue by bus to Alghero. Alghero is the capital of the north of Sardinia, founded in the 12th century. The town known for the finest and highest quality coral. In the center there is a museum of coral, and in every souvenir shop you will find jewelry, sculptures and even magnets of coral. The town has preserved historical core, with architecture from the 16th century. Seven towers that were used in the past in defending the city continued to dominate. Cobbled streets and old city walls are decorated with various flowers and stone decorations around the front door. There are numerous restaurants, cafes, pastry shops and souvenir shops. Simply, in these streets should lose. Alghero is famous for its numerous beaches in the immediate vicinity, but also in the city. We visited a few but for me is the biggest impression left beach Maria Pia. The scent of pine trees is the first thing you feel when you step on the beach (that smell reminds me of a childhood spent on the Adriatic coast). 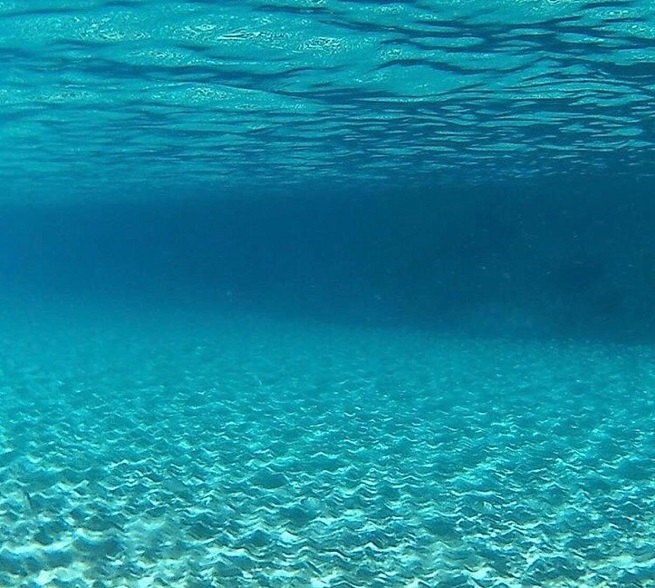 The sea is shallow and very warm. 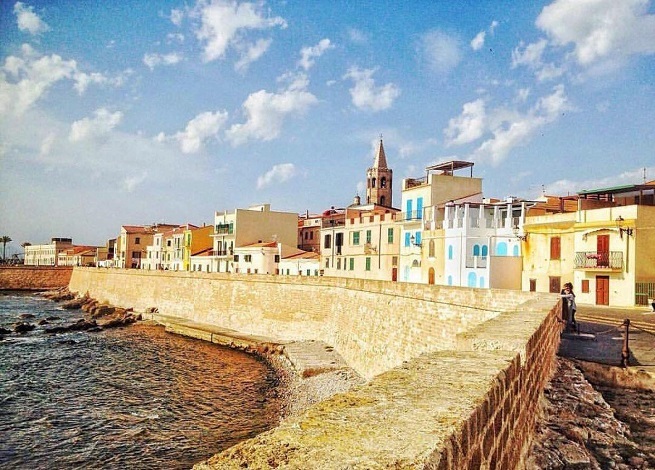 The enthusiasm of the city, beaches and food in Alghero certainly will not fail. If you like a quiet holiday then definitely the site for you. We prefer a different vacation but staying here just two days and continue to run the research island. Stintino Peninsula is located 50 km north of Alghero. 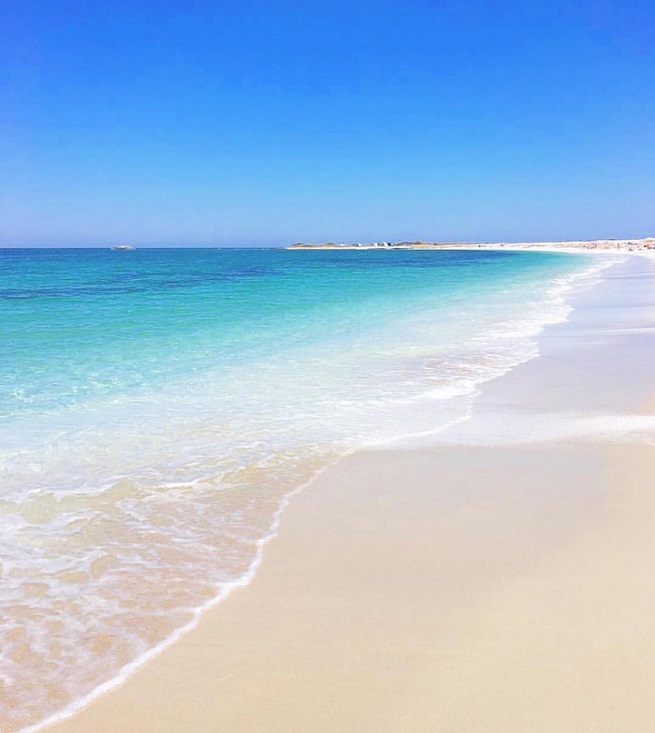 Out of season, a small fishing village Stintino has only 1,200 inhabitants, but that number is much higher during the summer, when literally thousands of tourists visit this stunning beaches some of which are counted in the top 10 world’s most beautiful beaches. It does not matter where you are in Sardinia – homemade food will delight you. They eat a lot of barbecues and roasts that are very savory herbs. Sheep and goat cheese is often served as a side dish. But what would Italy be without pasta? On this island, there are only three important types of pasta. First of all, there is Malloreddus favorite pasta in Sardinia. Small pieces of pasta is served with tomato sauce and pecorino cheese. Then Ciciones, prepared with saffron and often served with seafood. The third specialty is pasta Culingiones, type of ravioli with spinach that serve with tomato sauce, fresh basil and grated pecorino. Seafood and fish are something you should not miss. We are not and are really for each recommendation. I have to mention that the prices on the island more than acceptable and reasonable. By train from Sassari to Cagliari (from one to the other side of the island) travels three and a half hours (250 km) and the rest end up in Cagliari. Again we return to the “scene of the crime” (a place we like best). There are two main reasons why Sardinia is a popular destination for holiday: sandy beaches and beautiful nature. It is certainly to recommend if you like a passive holiday, for us who are more oriented towards active holidays, this is one in a series of destinations that we put on the list. My colleagues, whom I first live all retold, concluded by the manner of my explanation to this destination on me has left a strong and lasting impression. I will agree with them, I’m glad I was to see and Sardinia but for me still active vacation. On several occasions I have mentioned here a distinction between passengers and tourists. If you are a traveler, you would expect more from Sardinia. Sicily, for example, is much more interesting because each city has its own film story, almost magical atmosphere and visit to Sicily is a kind of adventure. 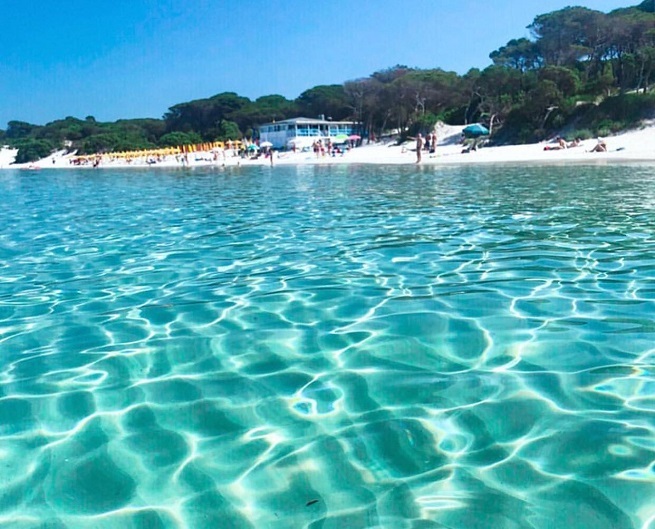 But if you are a tourist and you want to holiday in Italy, then Sardinia is the right choice for you: emerald blue and white sand beaches are a tourist paradise with postcards.